The year was 1931. Louisiana State defeated Spring Hill, 35-0, in the first game under the lights at Tiger Stadium. Ever since, night time has been the right time for the Tigers, who are 195-59-3 (.795) under the lights compared to 18-22-3 (.453) during the day. 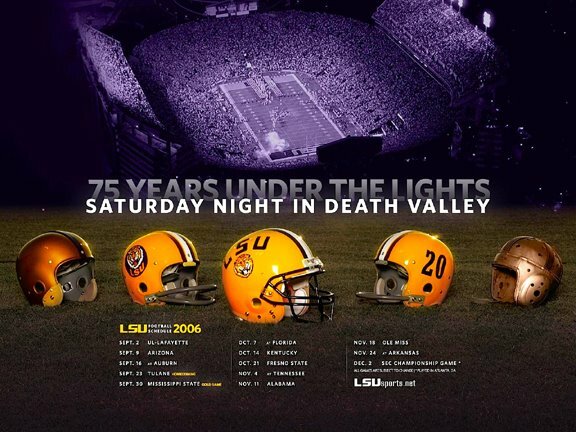 LSU's 2006 poster schedule celebrates the 75th year of night games in stunning fashion. The top half is an aerial photo of Death Valley in black and white. It blends into a shot of the helmets used during the era, and who can resist the old leather helmet! This is a classic piece, riveted by the use of a black and white photo to reinforce the significance of this milestone. Wow! Ladies and gentlemen, without a doubt this is the best poster schedule yet, and we have to thank Derek for sending it to us. If you can come up with something better from your team, send an image or URL to dawizofodds (at) aol.com. 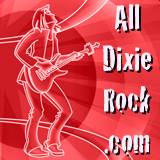 And as is our custom, here are links to poster schedules that have already been featured on the site: UCLA, Ohio State, Mississippi State, Auburn, South Carolina, Arkansas, Florida State, Florida, Iowa State and USC. Now that's a cool poster. At LSU, it's rarely about hype or hot-shot players. The goose bumps come from knowing that you're part of an authentic tradition that wasn't dreamed up by some marketing firm. This poster is true to that spirit. GEAUX TIGERS!